These Mid Century Modern arm chairs are absolutely eye-catching. 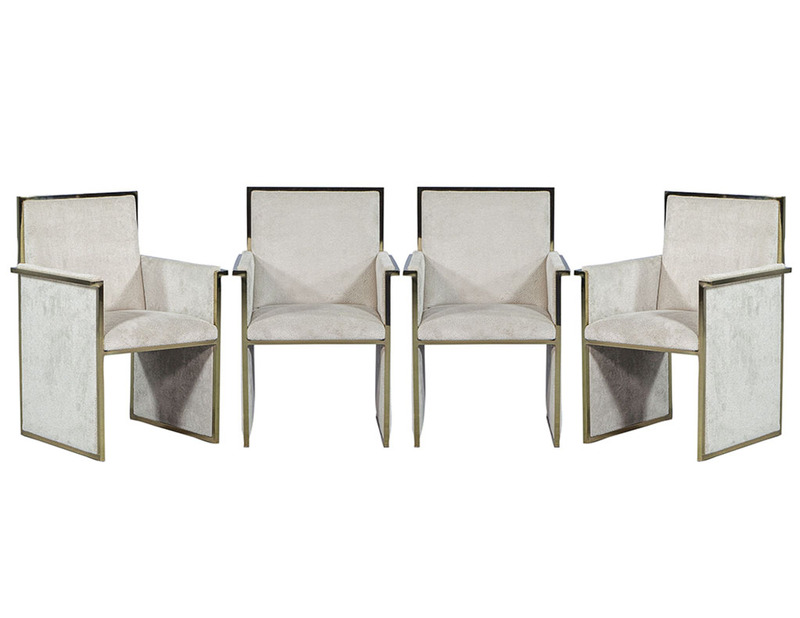 They are composed of a polished brass frame with floating seating upholstered in a textured pale grey velvet. A perfect fit for a neutral yet daring dining room! Part of the Carrocel Revival collection.